The ultimate online course for bloggers! With our on-screen video lessons you wont have problems following our course. More than 15 learning modules and over 70 lessons in our online blogging course! Need help? No problem! Just jump in our live-chat and let us help you right away! Our blog designers will make sure your blog looks amazing. And it's all for free! We love blogging and we want to help you! Should you need any type of help regarding your blog, or just general questions about blogging. Dont hesitate to get in touch. Having some technical problems? Can't get a plugin to work, or is your blog being weird? Let us help you out with the all tricky stuff. It literally doesn't matter what you need help with, we are there for you. Need ideas for a post? Need help setting up a facebook page? Your blog deserves to look amazing! But once you get started, you will realize it's so much more. Learn how you take your blog from just being a blog to a full-scale brand. Get your blog running on your own domain. It's important and only takes a minute. 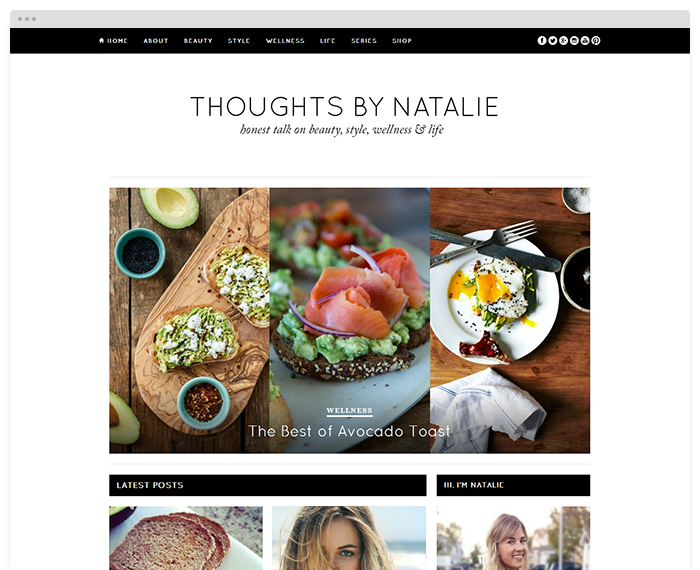 See how you can customize your blog design or even better have us do it for you. Getting visitors doesn't need to be hard if you take our blog marketing course. Learn the many different ways of how you can make money with your blog. There's too much to list here! Sign up for a free account and have a look yourself!